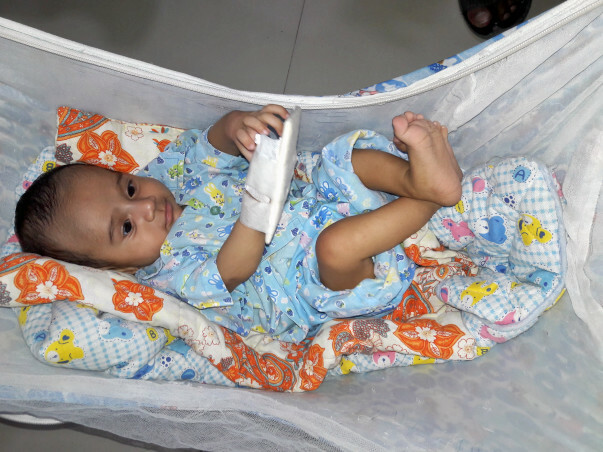 Two months back, 4-month-old, baby Adib, son of Javedbhai was diagnosed with a severe heart disease for which he requires to urgently undergo a heart surgery. 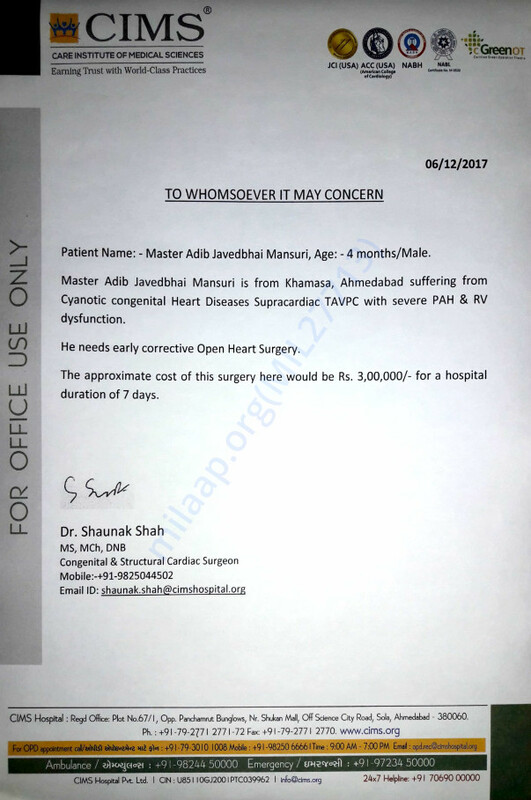 The total cost of the surgery is around Rs 3 lakhs but unfortunately, this amount is too high for Javedbhai. He needs our help to save his son. Your contribution can give baby Adib the treatment he deserves. Adib is now doing well and is at home now. He is doing well and is advised to visit the doctor once every two months. Fortunately, there are no side effects to the treatment. Also, he is not on any medication for now. He's only taking vitamin tablets. We all are hopeful about his recovery. Thank you everyone for your support!